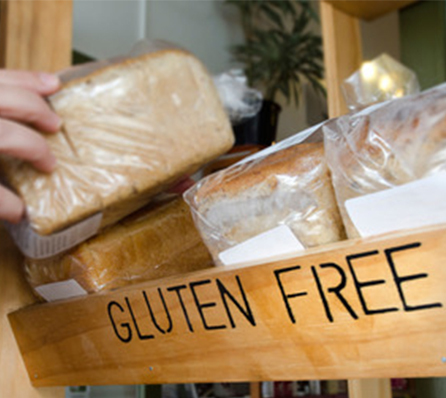 While avoiding gluten may seem very daunting to some people, we’re here to let you know that it is possible. However when going gluten free, there are other things you need to consider than solely focusing on eliminating wheat and gluten containing foods from your diet. Read below to see where gluten could be hiding just below the surface. ‘Gluten-free’ is usually a cue for ‘highly-processed, low-quality, over-sweetened junk’. Ingredients: Sugar, modified tapioca starch, rice flour, cocoa, potato starch, emulsifier, rice starch, ployglycerols esters of fatty acids, mono and diglycerides of fatty acids, black cocoa, sodium acid pyrophosphate, sodium bicarbonate, cornstarch, monocalcium phosphate, salt, xanthan gum, colour. For our bodies to be completely nourished, it needs real food that is rich in nutrients, vitamins, minerals, essential fatty acids and quality fats. It is very difficult for your body to digest manmade chemicals such as preservatives, colours, flavours and emulsifiers. These can often lead to inflammation in the body. Is The Food You Consume Really 100% Gluten Free? When there is a gluten free logo on the packet, it doesn’t necessarily mean that the food is 100% gluten free. The same way ‘fat-free’ doesn’t actually mean the product is 100% fat free. Food manufacturers use clever lawyers and loop holes in food manufacturing to produce ‘gluten free’ products that still contain 20ppm (parts per million) of gluten. 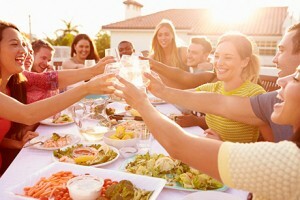 Although 20ppm is a small amount, if you were to consume large amounts of gluten free products daily or every second or third day such as; cereal and toast for breakfast, a muffin for morning tea, a sandwich for lunch, crackers for afternoon tea, pasta for dinner and a piece of gluten free cake for dessert, you would be ingesting enough gluten to seriously impair their progress of their gluten free diet. Even a very small amount of gluten can still have a huge impact on the body causing systemic inflammation. There are also other less obvious foods that can contain gluten or be contaminated with it that you might not have thought of such as; dextrin, malt, rice malt or rice syrup, whey sodium caseinate, modified food starch, gelatinised starch, hydrolysed plant protein, flavoured teas, ground spices, cold cuts, gravies, vegetable cooking sprays and many more ‘modern foods’. You can read more about 12 common foods containing hidden gluten here. It’s very common for some foods (nuts, oats, grains etc) to be handled in the same facilities that manufacture wheat-containing products, so there’s always a high chance of cross-contamination with gluten during the packing process. Even if they’re not contaminated during the packing process, these types of foods are likely to be processed using the same equipment, which creates another chance for gluten cross contamination. If you just focus on all the things you can’t eat then it’s easy to end up feeling stressed, both mentally and emotionally, especially when you’re socialising and eating out with friends and family. To live well when you have dietary restrictions, it is necessary to change your mind set, habits and lifestyle. Start by making healthier choices, focus on all the beautiful, vibrant foods you can still eat, keep seeking out real food from real people (your local farmers, neighbours who have chickens etc) as much as you can and then cook it up yourself. Experiment with new flavours and foods, you will be surprised how your taste buds have changed. Instead of always catching up with people at café’s or restaurants, why not host a brunch or dinner party at your house where you can control the menu. Alternatively you can ask everyone to bring a dish with a pre-set theme (ie paleo, gluten and/or dairy free etc). When you change your habits and mind set, you will actually enjoy your new healthy way of eating. As a result, it often has a ripple effect of improving your family and friends too.